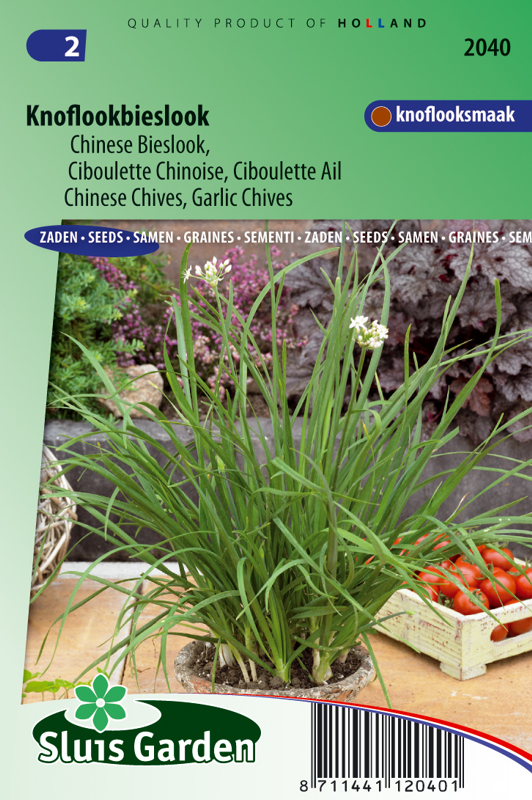 Chinese chives have grassy, flat leaves with attractive white flowers. They have a mild garlic taste, and can be used as garlic substitute. 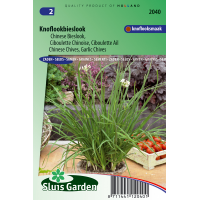 Can be cooked in dishes, which is not possible with common chives. Sow in a greenhouse and as soon as they can be handled, transplant to final spot. Grows slowly. Plant in limy, well fertilized, moist soil. Can grow in both shaded and sunny areas. Also excellent in pots.